The Rev. Megan Boatwright is the new associate pastor at Christ United Methodist Church in Halls. For the Rev. 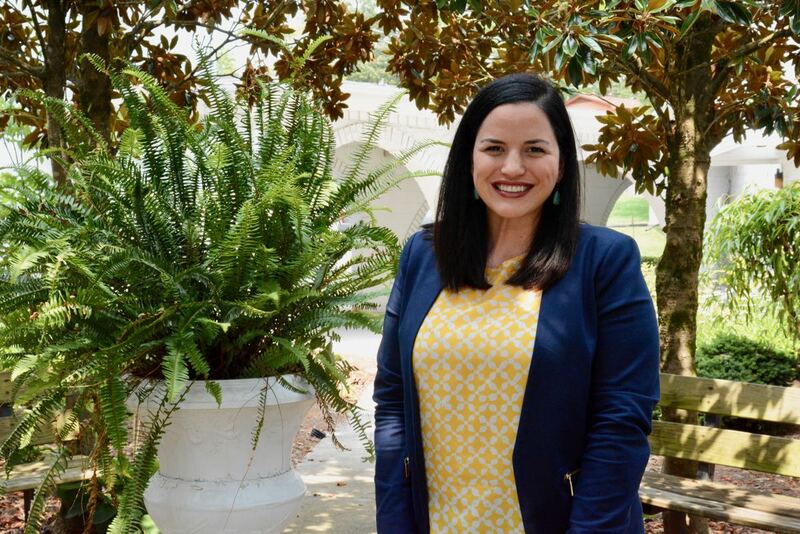 Megan Boatwright, new associate pastor at Christ United Methodist Church, coming to Halls Crossroads is like coming home. Raised on a farm outside Pittsburgh, Pennsylvania, Boatwright said the mountains around Knoxville, and the small-town feel of Halls remind her of the place she grew up. Boatwright was raised Roman Catholic in an Italian American family. She never knew women could be pastors until she was attended Allegheny College, a United Methodist school. The new chaplain was female, and Boatwright first saw her on Ash Wednesday. But it wasn’t until after graduation that Boatwright realized she was being called to ministry. She was working at Winthrop College in South Carolina and became involved with the campus United Methodist ministry. At another Ash Wednesday service, she felt the call “stirring up inside of me” during a hymn. if I but call your name? and never be the same? “I said, ‘OK, God. I get it,’ and I just prayed about it,” she said. She took the season of Lent to consider, then entered seminary at Duke University. Boatwright and husband Brandon were married just last year. Boatwright was an associate pastor at Clemson United Methodist in South Carolina when Brandon decided to pursue his PhD at the University of Tennessee. Boatwright reached out to the Holston Conference and was placed at Christ UMC. She’s been here for a few weeks now. They’ve been good weeks, and she’s excited about the church, especially the church’s commitment to ministry in the community. The Rev. 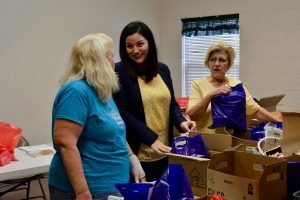 Megan Boatwright (center) chats with Patti Keck and Brenda Blanton as they pack bags of school supplies for local teachers. Next year, Boatwright will lead the Back 2 School Bash at Christ UMC, a program that gives school supplies, clothing and haircuts to kids going back to school. This year’s Back 2 School Bash is July 30. The church’s women’s group is also collecting and distributing school supplies to local teachers, and the church is serving as a host for homeless families through Family Promise. Boatwright is delivering sermons in the Christ UMC contemporary worship, Crosswalk, which meets at 11 a.m. Sundays, while head pastor the Rev. David Tabor preaches in the traditional services. Boatwright is leading the charge to revitalize Crosswalk and bring the two services into unity. Boatwright said she’s looking forward to building long-lasting relationships with the entire church family. “I hope to be here for a long time, and it’s exciting to see where we go from here,” she said.